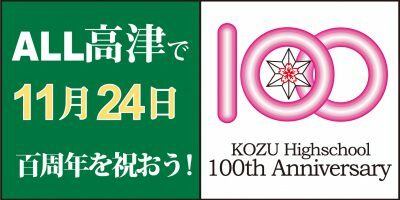 トップ > 創立100周年 > 【11月24日(土)】創立100周年をALL高津で祝おう! 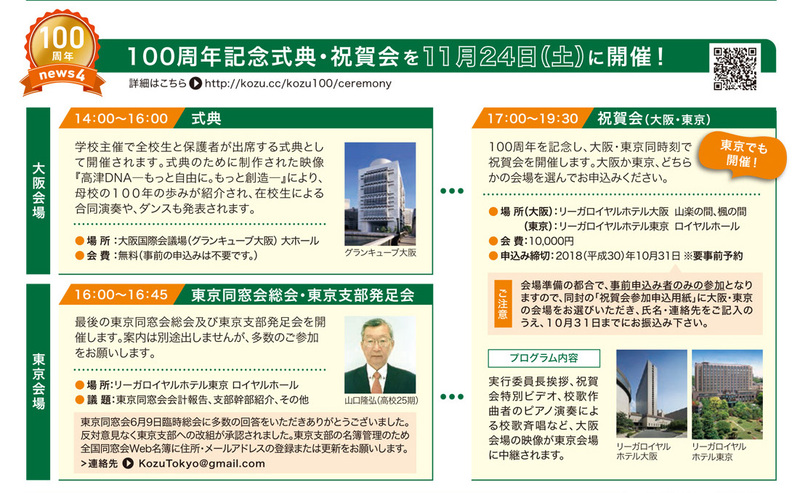 Copyright (C) 2008 大阪府立高津高等学校同窓会. All Rights Reserved.